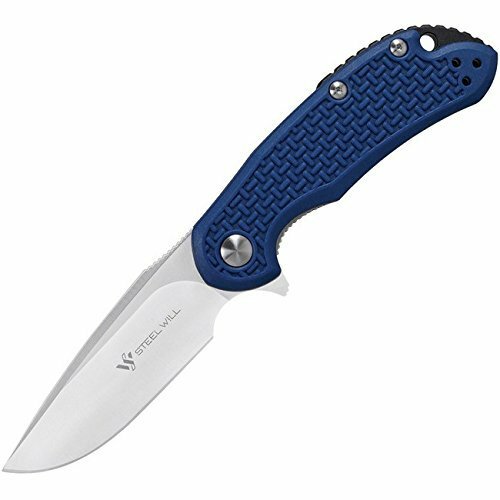 Steel Will C22M- 1BL Cutjack Hunting Knife, 3.0"
We recognize that our customers' choice in a folding knife is an expression of their individuality and personality. For this reason, we have released several versions of the Cutjack series knives that feature different blade sizes and handle colors. The Cutjack Mini series was designed for those who need a functional everyday folding knife with minimal weight and size. Features all the great design cues and benefits of the full size Cutjack series. If you have any questions about this product by Steel Will, contact us by completing and submitting the form below. If you are looking for a specif part number, please include it with your message. Stainless Steel Pint Cups (Pack of 5) - 16 Ounce Metal Tumblers - Unbreakable Canteen Set - Great for Indoors, Outdoors, Camping - Kids and Baby Friendly - Food Grade Steel, BPA/Lead Free!